We have opened a new regional office in Houston, Texas. In the ad, pictured here on Southwest Manufacturing News, we speak about the services we offer. “Manage. Measure. Improve,” SFA declares. Among the services offered, we will continue to provide machine monitoring and OEE, job scheduling, DNC software, MTConnect, plant maintenance (CMMS), document control, and more future solutions. 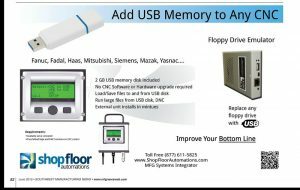 Also, SFA gave a window into how USB can replace Floppy Drives. Our advertisement for more detail is here at Southwest Manufacturing News. 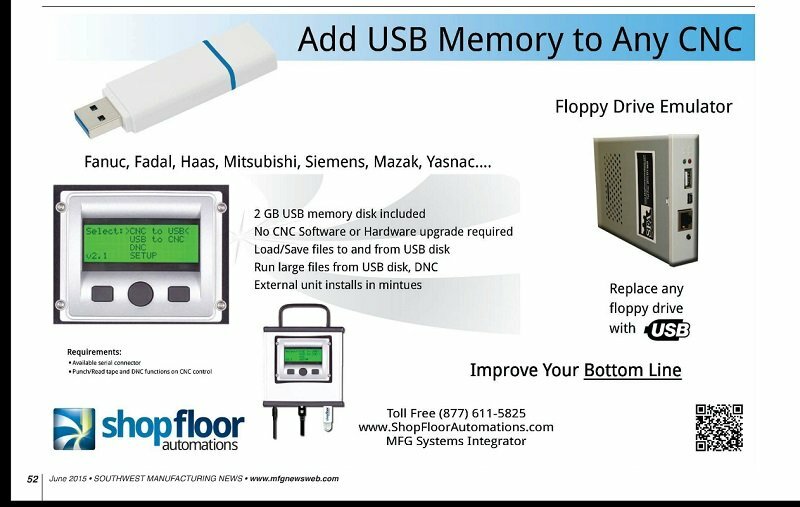 With machines such as Fanuc, Fadal, Haas, Mitsubishi, Siemens, Mazak, & Yasnac, a company can convert from using floppy disks to USB for CNC controls.